Welcome to the newly remodeled Holiday Inn Express Saint Roberts/Ft. Leonard Wood, located just minutes from Ft Leonard Wood, Forney Air Field, Walmart, and the Gasconade and Piney rivers. Our hotel is 100% non-smoking with inside corridors and electric locks. All rooms come equipped with hair dryers, ironing boards/irons, blowdryers, new pillow-top mattresses with our new smart bedding, refridgerators, Satelite T.V. with HBO, and wireless high-speed internet. 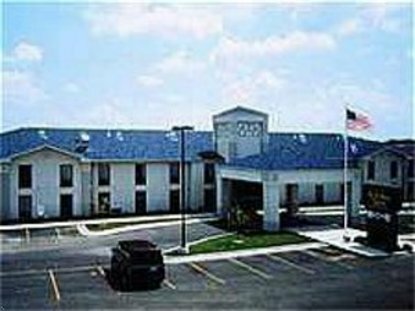 Amenities include the largest heated indoor pool in the area, fitness center, business center equipped with computers and fax/copy capabilities, as well as our Express Smart Start Breakfast and free coffee twenty four hours a day, also served with fresh baked cookies daily. This hotel is committed to providing accessible facilities under the American Disabilities Act. If your accessibility needs are not met, please contact the Hotel Manager on Duty. Should you require additional information regarding accessible facilities for guests with disabilities, please call 1-800-Holiday (U.S. and Canada) or contact the hotel directly. For the hearing impaired, TDD service is available at 1-800-238-5544 within the U.S. and Canada.